Andhra Pradesh Irrigation Minister Devineni Uma Maheswara Rao visited Tirumala temple and performed special puja to Polavaram Project Designs at Lord Venkateswara Swamy presence, during VIP. 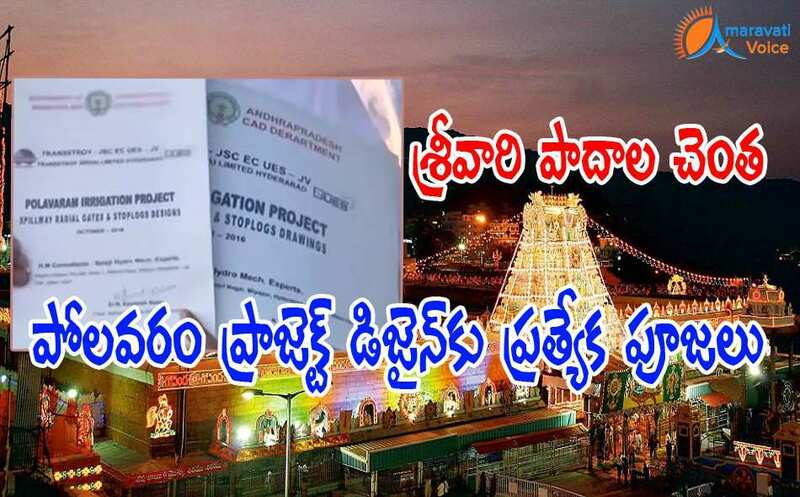 He has placed the Polavaram Project designs at the feet of deity Lord Venkateswara Swamy. Polvaram Project senior engineers also accompanied Devieni uma had offered prayers at VIP break darshan and got the blessing for the project, from Lord Balaji. Devineni Uma later talked to media and said that the Polavaram project would be completed before 2018. All the designs are ready for the Polavaram project, which recognized as a National Project by the Union.